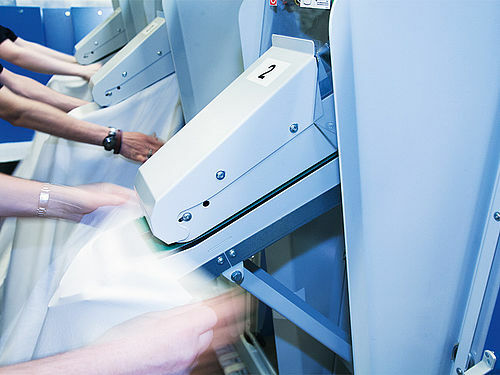 Thanks to the cornerless feeding principle, each operator can easily feed up to 600 single sheets per hour, or 400 king size sheets per hour. Improved feeding quality thanks to the introduction of a vacuum box. 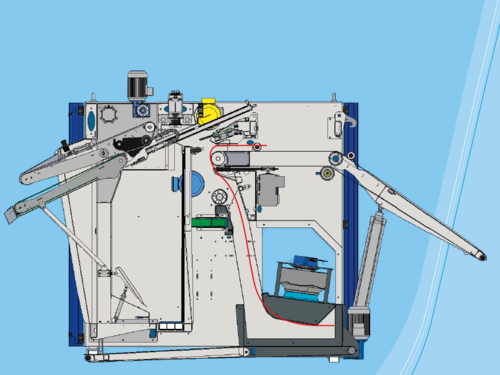 Optimum feeding quality possible be an optional Quality Unit comprising the Concorde direct feeding conveyor with vacuum and a stretch conveyor. 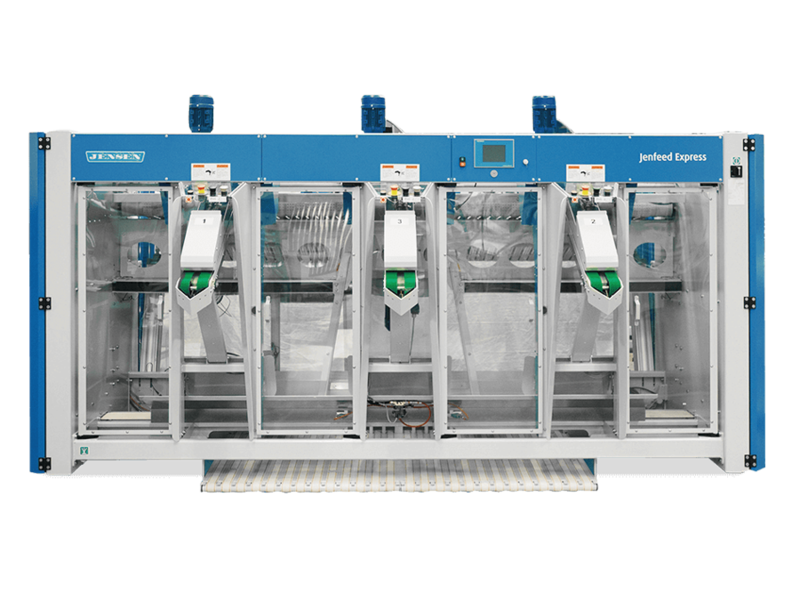 Two JENSEN Express ironer lines can replace three traditional ironer lines using conventional clamp feeders.